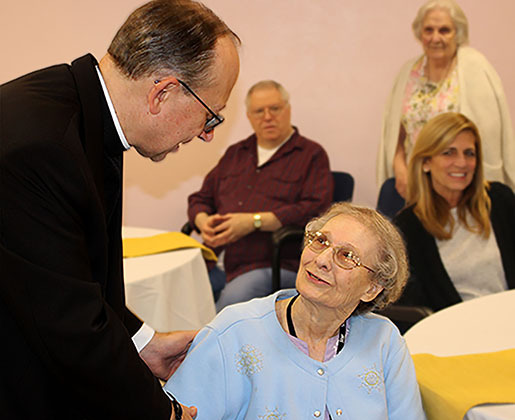 Yesterday morning, the Home was abuzz with chatter as Residents, Sisters, staff, and volunteers learned Pope Francis had named the new bishop for the Diocese of Richmond—Bishop Barry C. Knestout. 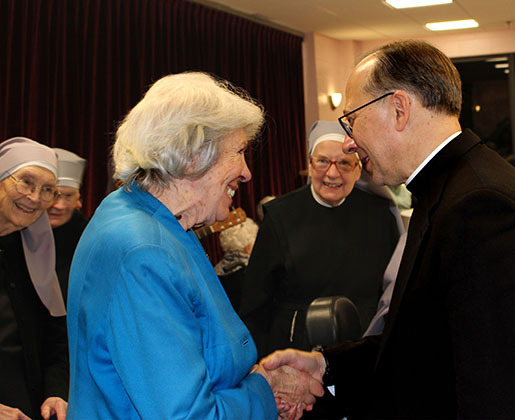 Only hours later, the excitement was doubled as the Sisters received word that Bishop Barry himself, as one of his very first acts since his appointment, would be visiting our Home that evening at 5 p.m. Everyone hurried to prepare for his arrival, setting up the auditorium for a reception, phoning AJJ members and friends excited to meet him, and baking up a batch of homemade cookies as a gift to our new bishop. 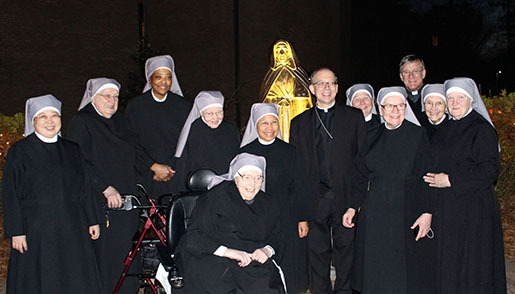 All of the Little Sisters greeted him as he arrived with Msgr. Mark Lane, Diocese staff, and his brother (who is also a priest). His first stop was a visit to the chapel where he knelt for a quick prayer as the Sisters sang Hail Mary. 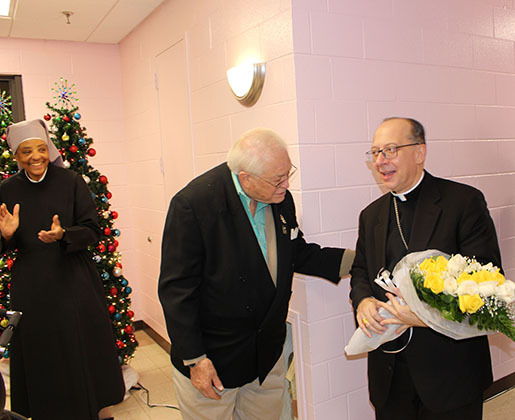 Next, he headed to the auditorium, where he was greeted by Resident Ross Girardi, who welcomed him and presented him with a bouquet of yellow and white roses. 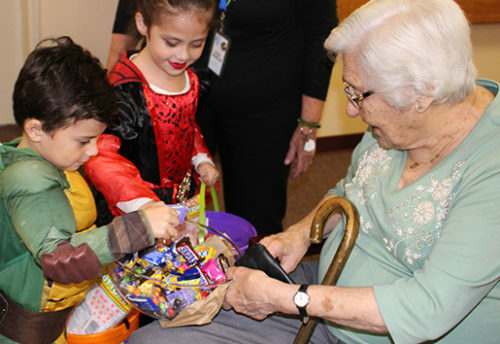 We were truly honored by his presence, and impressed with his kind and humble spirit as he took the time to make his way through the room, stopping to chat and shake hands with each Resident and guest. 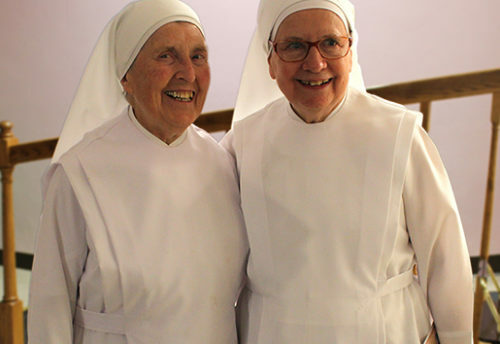 Sister Jeanne Emmanuel used her musical talents to play a few songs on the guitar as the Sisters sang along. To close out the evening, Bishop Barry spoke, giving a special blessing to the assembly . 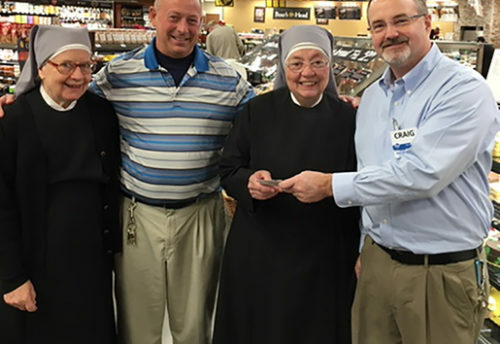 He graciously accepted the cookies, as well as a small statue of our foundress, St. Jeanne Jugan. 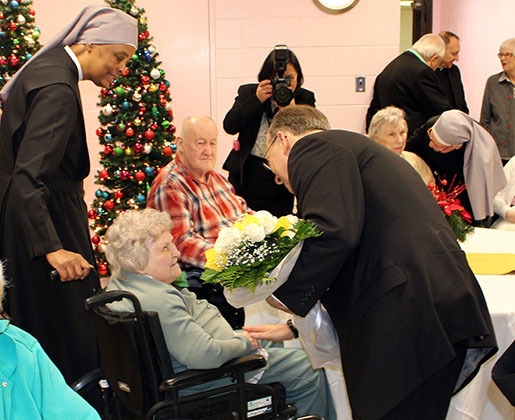 We were all so thrilled that the new bishop chose to visit our Home so soon after his appointment, and were cheered by the smiles and kind words he shared with each Resident. 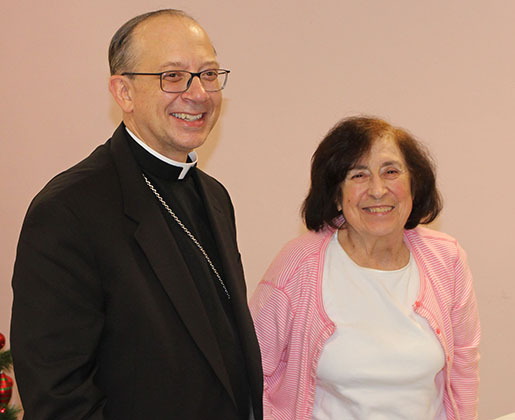 Welcome to the Diocese of Richmond, Bishop Barry, and thank you for your visit!